the daily be: see: check it. anyway, here are some great links to tide you over through the weekend! Happy Friday! Take some time to check out these great links! i love that features the best beauty trends for the holidays... including the bold red lip (a la Taylor Swift). Check out her tips! the tiemann girls give a quick diy on how to make the perfect bow from tulle. I am in love with this idea... time to get wrapping! 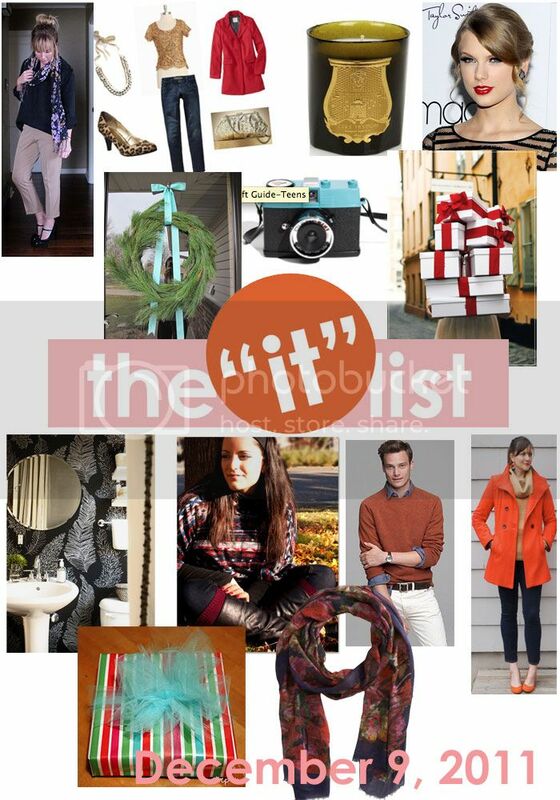 the IT list is produced weekly by Jill of good life for less, for info on how you can be involved - click here!